For our Parker, CO flooring customers, Denver Carpet and Hardwood takes a genuine approach to our services by listening and provdiing solutions to your flooring concerns. Customer satisfaction is our number one priority, which is why we’ve been counted on to deliver superior products and serves in Colorado for over 25 years. Our reputation is unsurpassed and we take pride in our customer loyalty. Our Parker flooring clients are in honest hands and never have to be concerned with less than adequate service. After years in the flooring industry, we have developed a team of highly skilled flooring installation specialists who are in the business of making sure that our customers receive the flooring options that are best suited to their needs. In order to ensure this, we take the time to come out to your place of residence and survey the areas that you may be considering new flooring in. We will take all of the necessary measurements, discuss your options, and provide you with a quote that is highly competitive. Denver Carpet and Hardwood gives Parker, CO flooring customers a fun and easy installation experience. Our technicians understand that going out and looking for the right colors and designs for your flooring project can be difficult and tedious, so our team of experts will come to your location and personally provide you with samples to look through– all in the luxury of your home. We carry some of the best known brands of carpet and flooring and house an enormous selection of flooring options for you to choose from. From Armstrong and Columbia to Bruce and Somerset, and even commercial flooring options, we have it all. And because we are a low overhead-low cost company, we can pass on our savings to all of our Parker, CO flooring customers. 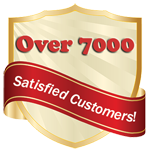 Denver Carpet and Hardwood does not only provides honest and genuine customer service but we offer exceptional products.